This land for sale in Ologolo is located in a nice environment and is suitable for mixed-use purposes. Land for sale in Nicon town measuring 1,000 square metres. Sand-filled land for sale in Chevron measuring 2705 square metres is readily available. Commercial Land measuring 1400sqm suitable for malls, banks, schools etc. Location : at Idado in Lekki Opposite Eti-Osa Local Government office, beside UBA bank , just before Alfa beach road and Chevron roundabout. Jericho Villa Estate plots For Sale Lekki Phase 2 Lagos 600 square metres for : Original Price is 13 million naira Promo price is 10 million naira Location description >It shares fence with Lekki Gardens Estate Phase 2, Lekki phase 2. Land for sale in Lekki Lagos – Properties for sale in Lekki Lagos, Nigeria. Easily locate that Real estate property on the Lagos Island. Call 08034856834. Lekki is one of the top neighborhoods in Lagos; it is a very popular location in Lagos. A highbrow area taken to be one of the highly expensive locations for real estate in the country. The area is about 70 to 80 km long, has an average width of 10 km, with an estimated population of 550,000 people. 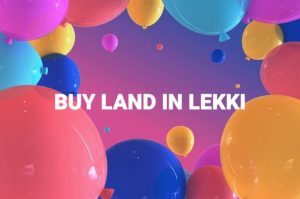 Lekki presently boasts of houses, many estates, gated neighborhoods, a conservation park, areas mapped out for a Free Trade Zone which is currently under construction, and which would have an airport, and a seaport. The proposed land use master plan for Lekki sees it as a “Blue-Green Environment City”, expected to accommodate over 3.4 million residential population and an additional non-residential population of at least 1.9 million. Part of the present day Lekki phase 1 in the Eti-Osa LGA was previously known as Maroko, and it was a slum. This was the case before it was demolished by the Raji Rasaki led Lagos State military Government. Lekki phase 1 presently is known as an area that boasts of some of the most expensive real estate properties in Nigeria. Other well known areas in Lekki are: Ikate, Elegushi, Osapa, Agungi, Ologolo, Chevron Area, Orchid Hotel road, Ikota, Victoria Garden City, Lekki Scheme 2 which is close to Abraham Adesanya Estate that is about a 30 minutes drive from phase. The Lekki scheme 2 is equally properly planned like Lekki phase 1, only that is developing at a much slower pace mostly because of the fact that it is some what far from Victoria Island and Lagos mainland. The road and drainage channels have been rightly put in place, however lack of proper care has left them in a dilapidated state. Serviced Estates: These estates boasts of a central management authority. Most times they are the most organized estate and they possess good infrastructures. The services provided in these serviced estates are: security, waste management, road & drainage maintenance, sanitation of the environment, water supply and electricity in some instances. These estates are always properly planned and have a deed of restrictions which allows those purchasing properties in the area to be aware of the kind and type of structures that can be built there. Gated Neighbourhoods: In these type of neighbourhoods, those living there collectively decide to gate their streets and by so doing, restrict entry by non-residents, and this helps in lowering the rate at which crime is committed in the neighbourhood. Moreso, the state of road and drainage systems is also determined by those residing in the area. When they’ve decided on the best way to construct and maintain the roads and drainage channels in the neighborhood, they contribute towards it and take care of the project. Lekki phase 1 & Environs: Property here is regarded as the most expensive because it is close to Victoria Island & Ikoyi. It equally boasts of good title documents, and it is well planned. All these makes properties located here to be in very high demand thus leading to the very high price. 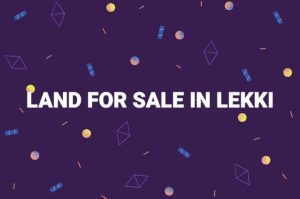 Land in Lekki goes for 150,000 naira and 250,000 naira per sqm. On the other hand houses go for as high as 100,000,000 naira to 500,000,000 naira. This however is dependent on the structure and size of the land that the house is built on. Ikate & Environs: Ikate is found after the Lekki scheme 1 project. As a result of the high demand, properties appreciated and the prices skyrocketed in a short period of time. Some individuals who find properties in the scheme 1 to be very expensive purchase properties here instead. Land in this area goes for 100,000 naira to 200,000 naira per sqm, and houses are sold within the range of 60,000,000 naira to 180,000,000 naira. Osapa & Environs: Currently land in Osapa goes for about 92,000 naira to 120,000 naira per sqm, and houses are within the range of 55,000,000 naira to 200,000,000 naira. Osapa is highly sought after by property developers. A lot of houses in the area were built by developers and then sold or rented out to interested persons. Presently, properties in the area are highly demanded. Chevron & Environs: It would take roughly 20 minutes drive to get to Victoria Island or Ikoyi from Chevron. Chevron is presently one of the highbrow residential areas in Lekki. This is as a result of the Chevron Headquarters in the vicinity. Moreso the Chevron staffs needed accommodation close to their place of work, hence residences were in demand in the area. This led to the construction of well-planned estates within the area. Land in Chevron would go for 43,000 naira to 150,000 naira per sqm and houses are sold for about 40,000,000 naira to 150,000,000 naira.